My parents retired in the rural south, near a town that celebrates its watermelons, the world’s sweetest, they claim, every summer with a festival. Festival goers endure the heat of a mid-south summer just to pay homage to this cool and juicy treat. I admit I never loved watermelon growing up. And my dad would put salt on it! What the?! But now I appreciate the sweet refreshment watermelon gives us, with or without salt. Margarita or other adult beverage. I do not imbibe very often. Hubby is the mixologist in our home. All I know is that sometimes he’ll take some frozen leftover watermelon and make me a margarita that I enjoy the heck out of! Experiment with your favorites and see what delightful combination you create. Or add some vodka or tequila to some of the drink ideas below. Lemonade. Or Limeade, my favorite. I simply blend the leftover watermelon with lemon or lime juice. I don’t even think it needs sugar! Do note that this is best fresh. Or you might want to reblend or stir, as the solids will separate from the juice as it sits awhile. Aqua Frescas. 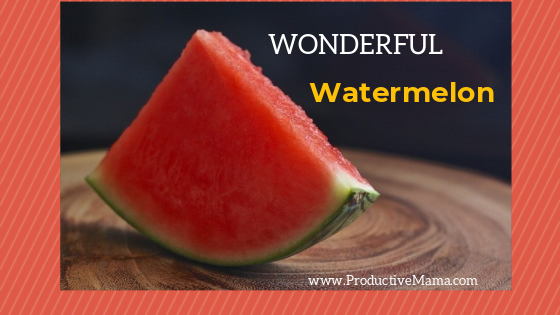 Take the watermelon and blend with enough sugar to taste. Strain if you prefer. Put a lime slice into each glass, along with a few mint leaves and crush. Fill with ice and pour watermelon blend over the ice. Slushy. Kids love slushies! You can take the watermelon lemon or limeade and simply replace the watermelon with frozen watermelon. Try adding mint or basil for a special touch! It’s best to freeze the watermelon in chunks or pieces on a flat dish or pan. Then you can keep them in a freezer bag or container until you are ready for them. Sorbet. Blend up your watermelon with enough sweetener (simple syrup works nicely here) and extra goodies like lemon juice, basil or mint to give it plenty of flavor. Put it all in your ice cream maker for a treat no one can resist. Popsicles. Have extra of ANY of the above blends? Pour them into popsicle molds. You can even drop in a few whole blueberries, slices of strawberries or other fruit pieces for some visual appeal. Smoothies. Another great use for frozen chunks of watermelon. Grab a few for your morning smoothie. Because they are so juicy, you’ll likely need less of your favorite smoothie liquid (water, juice, tea, etc). Ice cubes. Make ice cubes from blended watermelon and mint leaves. A great addition to iced tea that will add flavor instead of watering the tea down. If you’re ever “stuck” with too much watermelon and can’t eat it all before it will go bad, cut it up and freeze it. You’ll save that summer flavor and can use it later in any of the above recipe ideas.